In addition to its wealth of trial experience, AGC also offers its clients an experienced and comprehensive appellate practice. The Firm's Appellate Practice Group possesses imagination, analytical skill, and experience, and is comprised of both partners and associates who share firm resources and knowledge to develop successful appellate strategies. 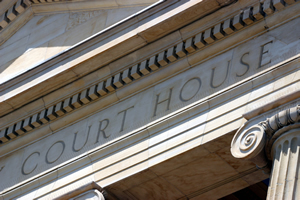 AGC's lawyers are experienced at identifying dispositive legal issues on appeal, formulating well-reasoned, persuasive legal briefs, and then advocating vigorously on behalf of its clients at oral argument. AGC's lawyers have successfully argued cases on behalf of its clients before all levels of state and federal courts of appeal. In addition, the Firm offers Amicus Curiae services in support of important issues before the courts that affect its private clients. Whether representing its clients as appellants, appellees, or amici curiae, AGC zealously advocates effective appellate strategies while remaining dedicated to providing cost-effective appellate representation. AGC's wide range of services also extends to interlocutory appeals, extraordinary writs, stays, and mandamus actions before state and federal courts.